Ald. Ameya Pawar (47th Ward) sent out an email Friday explaining his "YES" vote on the City budget and property tax increase. Because of its length, we'll print an excerpt; here's a link to the entire text. Ald. Cappleman (46th Ward) and Ald. 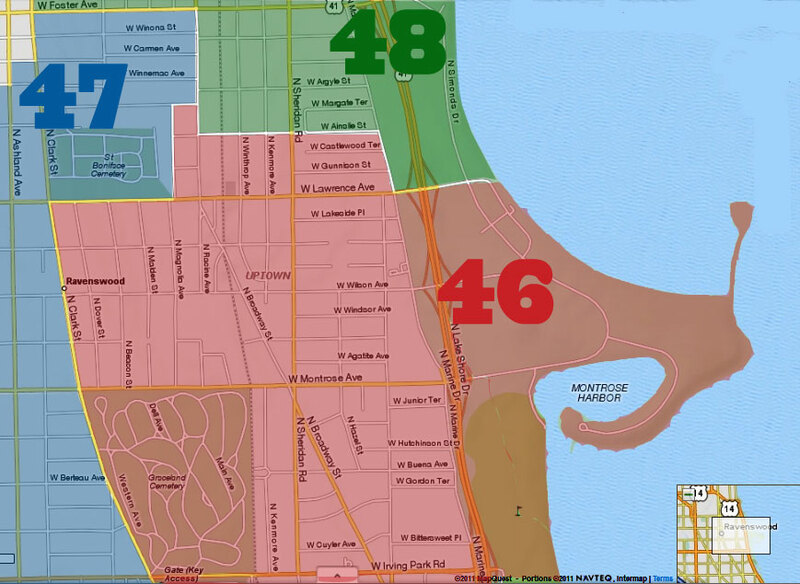 Osterman (48th Ward) previously explained the reasoning behind their votes. Click on the links to read their reasons for their votes. "On Wednesday, October 28, 2015, I voted YES on Mayor Emanuel's 2016 budget. The budget includes a $544 million dollar property tax increase to pay statutorily required pension contributions. Voting YES was a difficult decision, and one I made with the City's long-term survival in mind. I want to thank all of you who gave your feedback throughout the budget process. My rationale for the YES vote is below. My budget vote brings me back to GROWCommunity. Building a neighborhood K-12 system in our community has been my top priority since taking office in 2011. Since then, we've directed millions of TIF funds, hundreds of thousands of dollars in aldermanic menu funds, and over $500k in private funds to our neighborhood schools and high schools. I knew in 2011 that a property tax increase was inevitable. I just didn't know when the politics would catch up with our fiscal reality. And so I talked about this tax increase during budget town halls in 2012, 2013, and 2014; during community meetings, and during my reelection campaign. In addition to talking about the inevitable, I began to work to guard against the increase by focusing efforts on our neighborhood high schools. Most families move to our community for the K-8 schools. And a large percentage of the families that move to our community, move to the suburbs for high schools. This is reflected in our neighborhood school populations. For example, today at Coonley, there are five kindergarten classes and only one 7th and 8th grade class. This is true at most of our neighborhood schools. Our neighborhood schools are bursting with students in the lower grades with the student population thinning out as students near the eighth grade. Why? The selective enrollment process and stress drives many families out of the city. This is reflected in what it takes to actually gain admission to a selective enrollment high school. In most cases, children have to earn straight As and test above the 95th percentile to even have a chance at admission to one of the selective high schools. For most families, the pressure is too much. So they flee for the suburbs and pay significantly more in taxes to obtain stability for their children. This stability is what #GROWCommunity is seeking to provide all families in our community. [...] Below, you will find a summary of the most frequently asked questions I have received throughout this process. How much more will I pay as a result of this increase? Have any other kinds of taxes or sources of revenue been considered? Why not find efficiency, waste, or cut programs/jobs to raise the money? Why is there a new fee to pick up garbage? 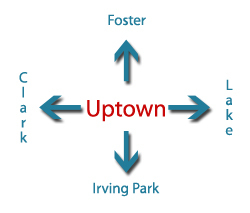 What about other independent analyses on the Mayor's proposal?" To see the entire post from Ald. Pawar, including charts and links, click here. Pawar is a policy geek. Lotsa charts and links. Interesting read if the geek is strong with you--an allusion to Star Wars. He's absolutely right about the K-12 argument for his ward. We need solid, safe neighborhood schools citywide. Magnets have their place, but K-12 neighborhood schools are the rock we need to rebuild this city on. The others rocks are public safety and jobs. Yet another rocky need would be transit. Perhaps I should start using the word "boulder" or perhaps we need bolder boulders! Did you turn your clocks back boys and girls? We gained an hour. Now Pawar claims that he's not going to run again for alderman so some may say his vote didn't show any "courage". I suspect like about 10 other aldercritters he sees himself as "da mare" at some point so his vote did show some courage. Cappleman also displayed fiscal responsibility and courage in voting for the tax increase. No politician wants to vote for a tax increase, but sadly it's necessary. If Cappleman runs again in 2019 and gets a serious or even a clownish opponent he can expect that vote to be used against him. Given the amount of development I hope will go on in the ward between now and February 2019 I don't think that necessary vote will have much of an impact on the race. Crawford spent about 400K in the recent election. I doubt any opponent he has in 2019 will come near that. We don't have more parking meters or skyways to sell off like Daley did to avoid tax increases. However, the amount of development going on in the city as a whole and a potential casino(s) could ameliorate the negative impact to my checking account. After all isn't it all about ME? It should be! 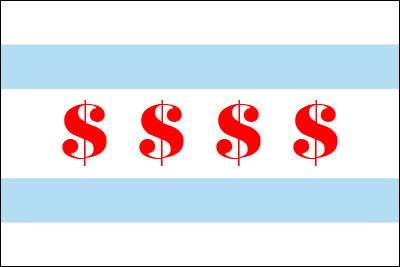 I can name three aldermen whose votes against the tax increase piss me off. Reilly, Mell and Osterman. Reilly pictures himself as running for higher office--good luck with that B your vote against the minimum wage increase makes success there unlikely. Mell is as dumb as a box of rocks and did what I'm sure her daddy told her to. Now I don't know why I'm pissed off at Osterman. Considering I literally live about a long home run away from his ward boundary I haven't got a good feel for what he's about. It's difficult for me to be pissed off at someone I have so little understanding of. Oh I forgot Waguespack. He knew better. Like Pawar he's a policy geek. Again another guy who thinks of himself as "Da Mare". Given his nearly complete lack of charisma good luck with that. He's pissed off because he gets ignored as part of the teeny independent caucus. The guy is often right on various issues, but he's completely shamefully wrong on this vote--even his pal John Arena voted "yes". That was a courageous vote considering the makeup of his ward. Now the most impressive "Yes" vote for the tax increase was Alderman Michele Smith from Lincoln Park. That took some courage. She won her runoff by 79 votes out of 14000+. She's virtually guaranteed at least one and maybe multiple well funded serious opponents in 2019. Plenty of wealthy people in Lincoln Park to fund elections and who will be "annoyed" that taxes are going up. NIMBYS are bad, but NIMBYS with huge egos and cash to spare are insufferable like the new Speaker of the House--Diamond Ayn Rand Paul Ryan. Ok, the alcohol is wearing off from my Halloween festivities. Time to sign off and go to sleep.